The new Christopher C3 Malvern Chronograph. Photo courtesy of Christopher Ward. Christopher Ward recently re-designed two watches from the Malvern Collection, a staple collection of the brand since 2005. Today I wanted to talk about the re-designs and briefly touch on the future of British watch brands. The two re-designed watches are the C3 Malvern Chronograph Mark III and the C5 Malvern Automatic Mark III. Both watches will have the new Christopher Ward logo which replaces the more traditional Chr.Ward with the full name of the brand. At first I had mixed feelings about how the new logo and how it would work on dress watches, the original logo with its authoritative serifs seemed a better fit. I'm pleased to say that judging from the photos that Adrian Buchmann, Senior Designer at Christopher Ward, seems to have done a great job. Adrian Buchmann, Senior Designer at Christopher Ward. In Loupe, Christopher Ward's magazine, Adrian spoke about the challenges of designing the C3 and C5 and making them at a competitive price. "Designing a relatively inexpensive watch is actually more difficult than a more expensive one. It can be just as time consuming - more so, even - and you're constantly running into barrier, because the cost of each part or procedure is the first and last thing on the agenda". The C3 and C5 now have snap on case backs which replaces the small screws on the C1. Whilst the rotor for the C5 is bespoke, the decoration of the Sellita SW200-1 is a standard finish. There are a few upgrades over the old models; the new curved dial is more expensive as are the new hands. Both watches have an opalin/sunray dial (available in silver, black and blue) underneath the curved sapphire glass. Both watches have a 39mm steel case with the C5 having a Sellita SW200-1 with bespoke Colimacone-finished rotor, the C3 is quartz and is powered by the Ronda 3520.D. Both watches come with an oak leather strap as standard but both can be upgraded to a shell cordovan with a Bader butterfly buckle. The C3 starts at $400 and the C5 at $565. Last year they changed their logo and in the first month of this year have started changing their staple lines. This year we'll might see more re-designs of older models as a way to phase out those watches with the old logo. It's no secret that last year as a bad year for exports of Swiss watches, yet Great Britain's market fared better than most even if this trend did slow down towards the end of the year. How much impact that poor exports had on Christopher Ward, a British brand using Swiss movements that sells its watches online, isn't clear but whatever the brand is doing seems to be working. In 2014 they released their first in-house caliber, the SH21, at an affordable price and I think these re-designs are a good sign for continued growth. Too many brands offer far too many references which only ends up paralyzing the customer with too much choice. 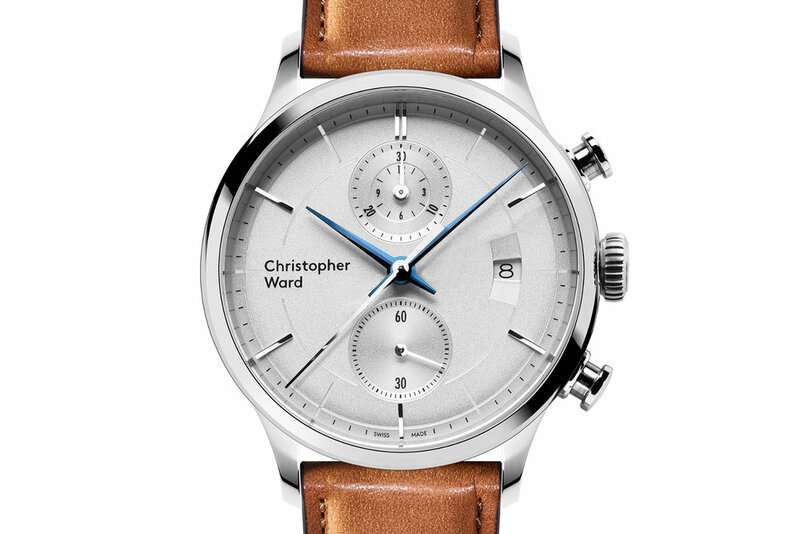 Something I really admire about Christopher Ward is how they'll sell the older models at a discount on their site. Not only does this provide more patient (or frugal depending on your mindset) customers with a chance for a bargain, it declutters their four collections (Dress, Dive/Sport, Aviation and Motorsport) from older designs. I remember shuddering in terror whenever I'd have to bring out a Tissot catalog whilst working in jewelry. Page after page of seemingly identical watches within sub-collection within sub-collection. By constantly trimming the fat, Christopher Ward should be able to remain more nimble compared to the lumbering behemoth of more traditional watch brands. 2017 looks set for an interesting year for British watch brands. Bremont are showcasing their new watches independently of Baselworld for the first time, Marloe Watch Co. are releasing several new watches and Christopher Ward have started off the year with a redesign of one of their classic watches. Even though I'm thousands of miles away, I'll be sure to keep an eye out of any news coming out of my home island nation.